Welcome home to this Roxborough charmer with relaxing open space and mountain views and quiet location. The open concept layout and flowing first floor are perfect for family living or entertaining. Bright and conforming, the fully finished basement with living area, office, large bedroom, bath and extra storage could be the ideal teen hangout, mother-in-law suite, man cave, home office or guest retreat. Walk out from the large kitchen to the beautiful fenced backyard to enjoy BBQ with friends or just relax and look at the calming scenery. The master retreat has a 5 piece bath with a huge walk-in closet and stunning mountain views. With bright natural light throughout and lovingly cared for, this home boasts new interior paint, carpet and comes with a home warranty. 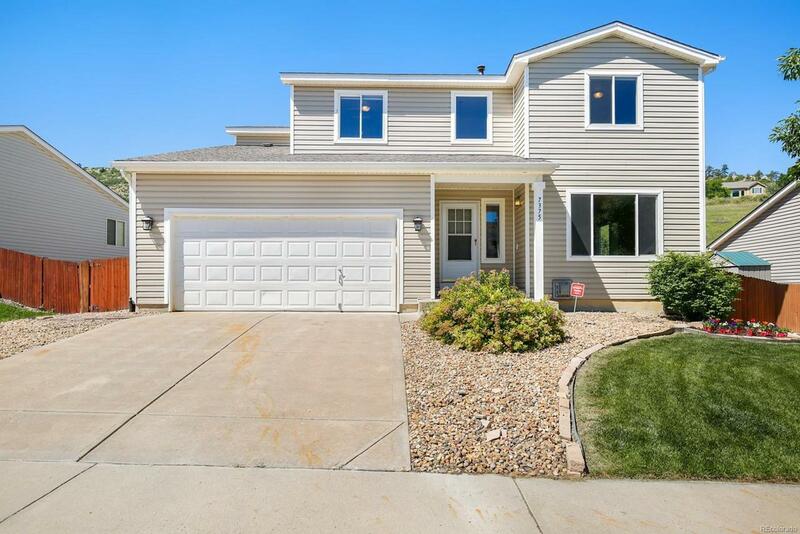 I-470 is a quick 5-minute drive for easy commuting and walking distance to the local elementary school, playground, and open space. Don't miss this opportunity to have this much house at this price!